Life Is Short, Live Well! We are a family practice treating patients of all ages. If you are in pain or just want to live a healthy lifestyle we cater to patients of all types and are here to help you live a better life! Same day appointments are available Monday thru Friday and Saturday by appointment only. Dr. Linn specializes in treating conditions in as few of visits as possible. L. Scott Taulman, D.C., C.C.W.P., D.C.
Scott Cohen, D.C., is a chiropractor located in Columbus, OH. Take the next step and contact Dr. Scott Cohen, D.C., for a consultation in Columbus, OH or to get more information. John Kovatch, D.C., is a chiropractor located in Columbus, OH. Take the next step and contact Dr. John Kovatch, D.C., for a consultation in Columbus, OH or to get more information. Chris Vojsak, D.C., is a chiropractor located in Columbus, OH. Techniques: • Diversified • Activator Methods Take the next step and contact Dr. Chris Vojsak, D.C., for a consultation in Columbus, OH or to get more information. Kathleen A. Jones N.M.D.,, D.C.
Kathleen A. Jones N.M.D.,, D.C., is a chiropractor located in Columbus, OH. Take the next step and contact Dr. Kathleen A. Jones N.M.D.,, D.C., for a consultation in Columbus, OH or to get more information. William P. Hamad, D.C., is a chiropractor located in Columbus, OH. Techniques: • Palmer Package • Activator Methods • Trigger Point Therapy Take the next step and contact Dr. William P. Hamad, D.C., for a consultation in Columbus, OH or to get more information. Ronald J Farabaugh, D.C., is a chiropractor located in Columbus, OH. Techniques: • Palmer Package • Gonstead • Flexion-Distraction • Activator Methods • Motion Analysis (Palpation) Take the next step and contact Dr. Ronald J Farabaugh, D.C., for a consultation in Columbus, OH or to get more information. Heather Peery Walker, D.C., is a chiropractor located in Columbus, OH. Techniques: • Activator Methods Take the next step and contact Dr. Heather Peery Walker, D.C., for a consultation in Columbus, OH or to get more information. 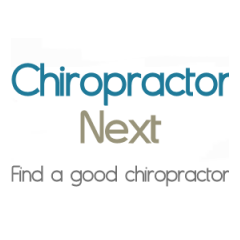 Roger J Lyss, D.C., is a chiropractor located in Columbus, OH. Techniques: • Sacro Occipital Technique • Diversified • Neural Organization Technique • Applied Kinesiology • Cox Take the next step and contact Dr. Roger J Lyss, D.C., for a consultation in Columbus, OH or to get more information. John Ellwood, D.C., is a chiropractor located in Columbus, OH. Take the next step and contact Dr. John Ellwood, D.C., for a consultation in Columbus, OH or to get more information. Alan R Falk, D.C., is a chiropractor located in Columbus, OH. Take the next step and contact Dr. Alan R Falk, D.C., for a consultation in Columbus, OH or to get more information. David D Sampson, D.C., is a chiropractor located in Columbus, OH. Techniques: • Diversified • Gonstead • Thompson • Active Release Technique • Cox • Flexion-Distraction • Decompression Take the next step and contact Dr. David D Sampson, D.C., for a consultation in Columbus, OH or to get more information. Beau Lawyer, D.C., is a chiropractor located in Columbus, OH. Techniques: • Diversified • Gonstead • Flexion-Distraction Take the next step and contact Dr. Beau Lawyer, D.C., for a consultation in Columbus, OH or to get more information. Raymond P Spillane, D.C., is a chiropractor located in Columbus, GA. Techniques: • Gonstead • Palmer Package • Hole in One Take the next step and contact Dr. Raymond P Spillane, D.C., for a consultation in Columbus, GA or to get more information. Robert E Briggs, D.C., is a chiropractor located in Columbus, OH. Techniques: • Palmer Package • Activator Methods • Diversified • Flexion-Distraction • Manual Adjusting • Trigger Point Therapy Take the next step and contact Dr. Robert E Briggs, D.C., for a consultation in Columbus, OH or to get more information. Donald W Reese, D.C., is a chiropractor located in Columbus, WI. Take the next step and contact Dr. Donald W Reese, D.C., for a consultation in Columbus, WI or to get more information. Anthony Abbruzzese, D.C., is a chiropractor located in Columbus, OH. Techniques: • Cervical Drop Headpiece • Diversified • Flexion-Distraction • Neuro Muscular Technique • Traction Take the next step and contact Dr. Anthony Abbruzzese, D.C., for a consultation in Columbus, OH or to get more information. Michael E Shannon, D.C., is a chiropractor located in Columbus, OH. Techniques: • Diversified Take the next step and contact Dr. Michael E Shannon, D.C., for a consultation in Columbus, OH or to get more information. Lee Thomas, D.C., is a chiropractor located in Columbus, OH. Take the next step and contact Dr. Lee Thomas, D.C., for a consultation in Columbus, OH or to get more information. Paul J Shannon, D.C., is a chiropractor located in Columbus, OH. Techniques: • Gonstead • Diversified • Activator Methods Take the next step and contact Dr. Paul J Shannon, D.C., for a consultation in Columbus, OH or to get more information. Charles W Mc Han, D.C.
Charles W Mc Han, D.C., is a chiropractor located in Columbus, GA. Take the next step and contact Dr. Charles W Mc Han, D.C., for a consultation in Columbus, GA or to get more information. Mark Allen, D.C., is a chiropractor located in Columbus, IN. Take the next step and contact Dr. Mark Allen, D.C., for a consultation in Columbus, IN or to get more information. Roger O'Sullivan, D.C., is a chiropractor located in Columbus, OH. Take the next step and contact Dr. Roger O'Sullivan, D.C., for a consultation in Columbus, OH or to get more information. Mark A Marohl, D.C., is a chiropractor located in Columbus, OH. Techniques: • Gonstead • Palmer Package Take the next step and contact Dr. Mark A Marohl, D.C., for a consultation in Columbus, OH or to get more information. Ronald J Patrick, D.C., is a chiropractor located in Columbus, IN. Techniques: • Diversified Take the next step and contact Dr. Ronald J Patrick, D.C., for a consultation in Columbus, IN or to get more information. Jay L Blatnik, D.C., is a chiropractor located in Columbus, OH. Techniques: • Diversified Take the next step and contact Dr. Jay L Blatnik, D.C., for a consultation in Columbus, OH or to get more information. Jeff Phillips, D.C., is a chiropractor located in Columbus, OH. Take the next step and contact Dr. Jeff Phillips, D.C., for a consultation in Columbus, OH or to get more information. Brian House, D.C., is a chiropractor located in Columbus, OH. Take the next step and contact Dr. Brian House, D.C., for a consultation in Columbus, OH or to get more information. Stephen R Pettay, D.C., is a chiropractor located in Columbus, OH. Techniques: • Diversified • Cox Take the next step and contact Dr. Stephen R Pettay, D.C., for a consultation in Columbus, OH or to get more information. Darrell Day, D.C., is a chiropractor located in Columbus, IN. Take the next step and contact Dr. Darrell Day, D.C., for a consultation in Columbus, IN or to get more information. Danielle R Rice, D.C., is a chiropractor located in Columbus, OH. Techniques: • Upper Cervical Take the next step and contact Dr. Danielle R Rice, D.C., for a consultation in Columbus, OH or to get more information. T Gillis, D.C., is a chiropractor located in Columbus, OH. Techniques: • Applied Kinesiology • Activator Methods Take the next step and contact Dr. T Gillis, D.C., for a consultation in Columbus, OH or to get more information. Grant D Lewis, D.C., is a chiropractor located in Columbus, OH. Take the next step and contact Dr. Grant D Lewis, D.C., for a consultation in Columbus, OH or to get more information. David C Baker, D.C., is a chiropractor located in Columbus, IN. Take the next step and contact Dr. David C Baker, D.C., for a consultation in Columbus, IN or to get more information. Zahir Sherazee, D.C., is a chiropractor located in Columbus, OH. Take the next step and contact Dr. Zahir Sherazee, D.C., for a consultation in Columbus, OH or to get more information. Hyram Boutwell Jr, D.C., is a chiropractor located in Columbus, GA. Take the next step and contact Dr. Hyram Boutwell Jr, D.C., for a consultation in Columbus, GA or to get more information. Thomas A McMahon, D.C., is a chiropractor located in Columbus, OH. Techniques: • Gonstead • Cox Take the next step and contact Dr. Thomas A McMahon, D.C., for a consultation in Columbus, OH or to get more information. David Phillips, D.C., is a chiropractor located in Columbus, OH. Take the next step and contact Dr. David Phillips, D.C., for a consultation in Columbus, OH or to get more information. Kenneth Jenkins, D.C., is a chiropractor located in Columbus, OH. Techniques: • Cox • Diversified • Flexion-Distraction Take the next step and contact Dr. Kenneth Jenkins, D.C., for a consultation in Columbus, OH or to get more information. Daniel J Morgenstern, D.C., is a chiropractor located in Columbus, OH. Techniques: • CranioSacral Therapy • Applied Kinesiology • Activator Methods • Neuro Emotional Technique Take the next step and contact Dr. Daniel J Morgenstern, D.C., for a consultation in Columbus, OH or to get more information. Gregory Smith, D.C., is a chiropractor located in Columbus, OH. Take the next step and contact Dr. Gregory Smith, D.C., for a consultation in Columbus, OH or to get more information. Roger B Boutwell, D.C., is a chiropractor located in Columbus, GA. Techniques: • Gonstead • Diversified • Palmer Package • Hole in One Take the next step and contact Dr. Roger B Boutwell, D.C., for a consultation in Columbus, GA or to get more information. Chris Carcioni, D.C., is a chiropractor located in Columbus, OH. Take the next step and contact Dr. Chris Carcioni, D.C., for a consultation in Columbus, OH or to get more information. Brian Mabry, D.C., is a chiropractor located in Columbus, OH. Techniques: • Activator Methods • Chiropractic Biophysics • Diversified • Pettibon • Thompson Take the next step and contact Dr. Brian Mabry, D.C., for a consultation in Columbus, OH or to get more information. Jonathan Reichert, D.C., is a chiropractor located in Columbus, OH. Techniques: • Gonstead • Diversified • Activator Methods Take the next step and contact Dr. Jonathan Reichert, D.C., for a consultation in Columbus, OH or to get more information. Kevin Reilly, D.C., is a chiropractor located in Columbus, OH. Take the next step and contact Dr. Kevin Reilly, D.C., for a consultation in Columbus, OH or to get more information. David N Foor, D.C., is a chiropractor located in Columbus, OH. Take the next step and contact Dr. David N Foor, D.C., for a consultation in Columbus, OH or to get more information.